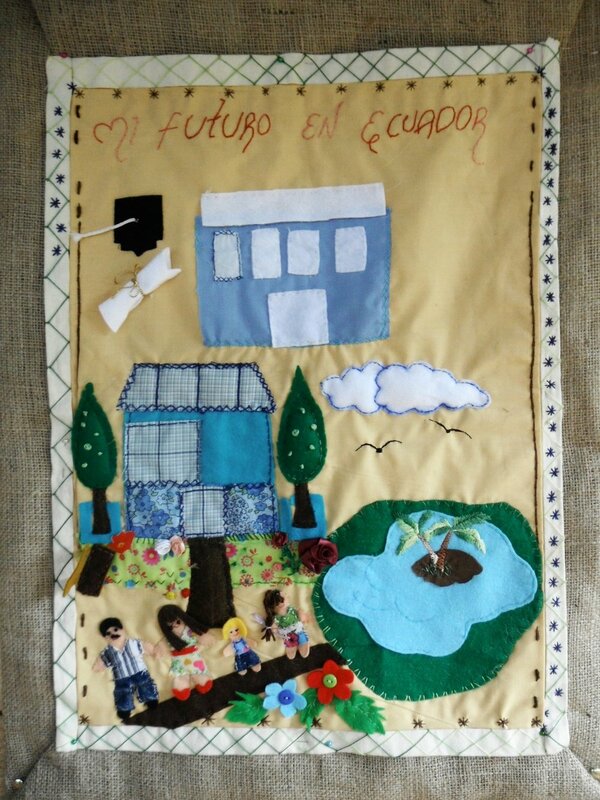 The pilot project of Common Threads was launched in 2012 in Lago Agrio, Ecuador. In partnership with Federation de Mujeres de Sucumbíos, local facilitators were trained and adapted the intervention for use in their communities. The 30 participants demonstrated a significant reduction of mental health symptoms, and increased coping capacity. The women found it to be a transformative healing experience and they asked to continue their participation into an additional phase of sessions. Some members of the original groups continued to meet, sew, and provide ongoing peer support for one another. To commemorate the 16 days of global activism against gender based violence, an exhibition of the work of the arpillera groups was held at a museum in Quito in Nov/Dec 2013. The participants attended the launch of the exhibition, spoke publicly about their experiences and advocated for prevention of SGBV. This exhibit was shown in Geneva, Switzerland at the UN Palais des Nations June 16-19 and July 1-21, 2014.